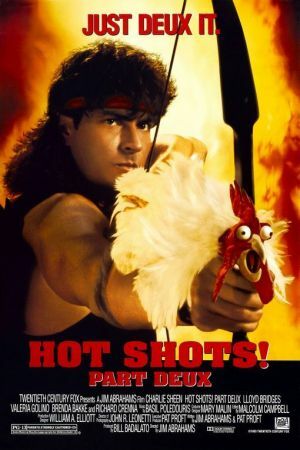 Another Jim Abrahams product (some people must hate him), the sequel to (predictably) Hot Shots is just as funny, although it shifts the focus of its jokes from Top Gun to Rambo. Featuring Charlie Sheen in full dimwit mode (not hard), the late Lloyd Bridges as the president(! ), and worth watching alone for Rowan Atkinson's dapper turn at the end, few minutes go by without something to laugh at.